WeSU is a System Evaluation Board designed to provide a cost effective solution for precise motion sensing in wearable and embeddable object motion applications. The connectivity granted by the best in class BlueNRG and supported by the integrated balun permit to maximize the RF performances with low area occupancy and design effort. Android or iOS APP can be used for displaying information sent by the WeSU through BLE Connectivity as well as for setting operative modes. Compliance to the Bluetooth (BLE 4.0) stack specification allows to expose application functionalities through structured services and characteristics in which WeSU is hosting a GATT (Generic Attribute) Server while mobile app is acting as a GATT client. 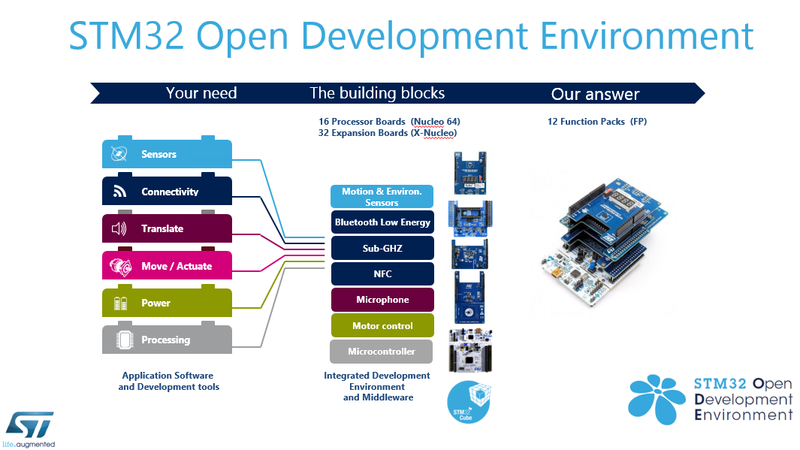 STM32 Open Development Environment is a fast and affordable way to develop and prototype innovative devices and applications with state-of-the-art ST components leveraging these in a comprehensive set of functions for connectivity, power, audio, motor control and more in a shape of stackable expansion boards (X-NUCLEO) and open software environment designed around the STM32 microcontroller family. 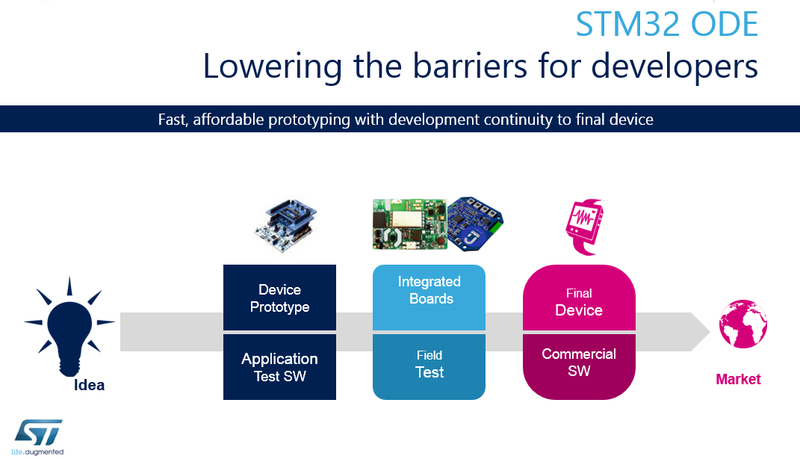 The combination of a broad range of expandable boards based on leading-edge commercial products and modular software, from driver to application level, enables fast prototyping of ideas that can be smoothly transformed into final designs. In this FED4SAE project ST-Italy intends to promote CPS and IoT applications that may utilise not only BLE communication, Motion MEMS, Environmental sensing extension boards, but also an entire portfolio will be available to the selected Application Experiments. For further information on WeSu please go here. For information on ODE- STM32 Nucleo expansion boards please go here.